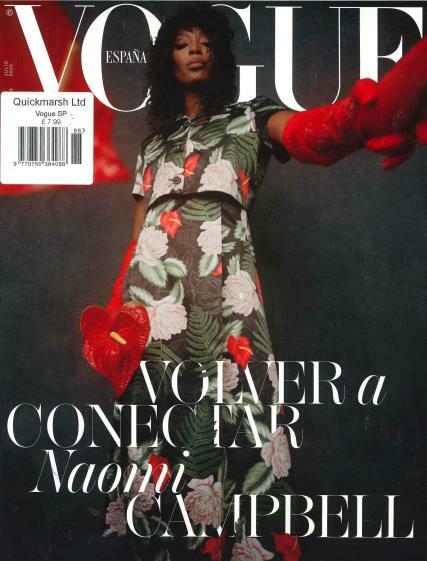 Vogue Spanish is written in Spanish for the women of Spain and the Spanish speaking world. It is full of fashion and articles that are trending to the rest of the world. It has a unique reputation of being the largest and most elegant Vogue publication in the world. To give Spanish women the most creative, informative and wonderful issue, and issue that was 1006 pages and weighed six pounds was published along with a supplement geared totally to fashion and fashion collections. Browse the pages and view their covers that are almost exclusively devoted to models rather than celebrities. There is beautiful color and movement in the magazine that represents Spanish heritage. It does contain articles and fashion spreads that appeared in other Vogue issues but with original covers and content. There are photo spreads from Juan Gatti and Nacho Pinedo as well as reputable European photographers. Fashions represet all the main fahsion houses and the makeup and hair styles are exquisite.